Click the button below to add the Refurbished Optoma EH501 Full HD 1080p 3D Projector with 5000 ANSI Lumens 15,000:1 Contrast Ratio! to your wish list. High brightness, excellent connectivity and amazing colors ensure the Optoma EH501 full HD 1080p projector is the perfect choice for any large venue or conference room. The environmentally friendly EH501 has energy saving features including Eco+ lamp power management, <0.5W standby mode and auto power off, saving you both time and money. 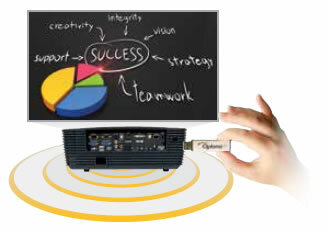 Enjoy hassle-free presenting using the USB Reader to project a JPEG presentation directly from a USB flash drive. ...or even broadcast your presentation (up to WXGA resolution) across a wired/wireless network to as many as 8 projectors simultaneously. Wireless support requires the optional Optoma mini-WiFi dongle accessory, available separately. The EH501 supports multiple 3D formats from various devices such as PC, Blu-ray 3D™, Sony® PS3, Microsoft® Xbox 360 or 3D TV broadcast systems. 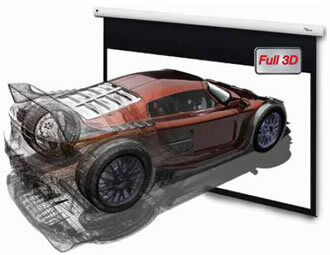 A Full HD projector with 1920x1080 pixels has more than twice the resolution of an HD-Ready display. Fully compatible with HDTV broadcasts and high definition media, the EH501 is able to display un-scaled 1080p signals in their original form for use where exceptional clarity and detail are essential. This Full HD projector accepts a wide variety of computer and video input signals. Connectivity includes: HDMI, DVI-D, dual VGA (Component via adaptor), S-Video, Composite, USB Reader, VGA-Out, RS232, RJ45 and +12V trigger. In addition the optional Wi-Fi accessory can be securely connected to a dedicated hidden USB port. Five audio inputs for HDMI, PC, video and microphone sources enable the EH501 to function not only as an audio switcher and volume controller, but also as a basic PA system for larger meeting rooms; thereby eliminating complicated and costly additional audio hardware and cabling. The EH501 can project a 100” diagonal image from any distance between 3.03m and 4.54m. 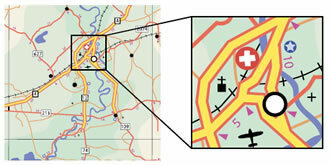 The Lens Shift system can be used to adjust the vertical position of the projected image within the range detailed in the diagrams below. When replacing existing projectors, the 1.5x zoom and Lens Shift systems greatly increase your installation flexibility. In applications requiring smooth continuous operation, minimizing service time is essential. 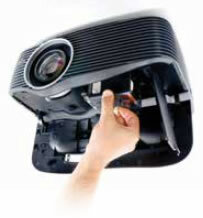 The EH501 lamp can quickly be replaced without the need to remove the projector from where it is installed. 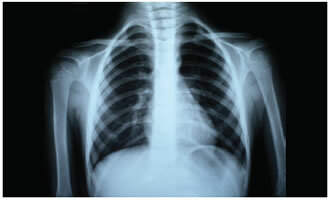 *The EH501 is not suitable for use in medical diagnosis. DarkChip3™ from Texas Instruments, combined with Eco+ dynamic lamp technology produce a stunning 15,000:1 contrast ratio for pin sharp graphics and crystal clear text. Crisper whites, ultra-rich blacks makes images come alive and text easier to read - ideal for business and education presentations. The EH501 incorporates BrilliantColor™ technology to produce stunningly bright images with perfectly balanced, life-like colors. Using the free Crestron Roomview software, multiple EH501 can be monitored over LAN and also provide the user with an email message alert in case an error occurs or a lamp fails. Cut up to 30% from your energy bills using 24-hour automated power scheduling to ensure that projectors power off when not in use. 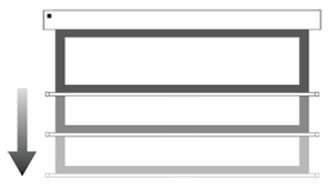 The web browser interface and full support for Extron’s IP Link, AMX dynamic device discovery and PJ-Link protocols, allow almost all aspects of the EH501 to be controlled across a network, reducing installation costs and keeping you in control, wherever you are. While RS-232 connectivity ensures legacy support for existing control systems. Instantly present from your phone or tablet using the free App: VueMagic. Available for both Android and iOS devices, VueMagic. gives you the freedom to move around the room, share ideas and connect with your audience like never before, to create a more collaborative experience for everyone. Use your device’s touch screen to browse, flick between slides and pinch-to-zoom. Stream your mobile device’s camera feed directly to your projector to turn it into a portable visualiser; Ideal for sharing ideas with larger groups. 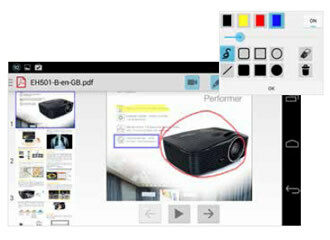 Annotate directly onto your presentations in multiple colors, either freehand or using the tools provided. Direct & Signal Power ON - Start up time can be significantly reduced if standby mode is bypassed, eliminating the need to use the ‘Power’ button on the remote control or the projector keypad. Direct Power ON switches the projector on when the power cable is inserted into an active power outlet. Signal Power On switches the projector on when an active VGA source is connected to the unit. Key pad lock – once enabled prevents unauthorised adjustments ensuring the projector can only be controlled via the remote control. Saving energy, saves money! Eco+ technology reduces the power consumption to as little as 30%. This intelligent feature also has a positive effect on the lamp life, increasing it up to 70% while lowering the total cost of ownership and reducing maintenance*. 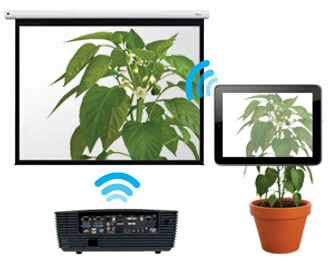 Stay in control of your presentation with the Eco AV mute feature. Direct your audience’s attention away from the screen by blanking the image when no longer needed. This also instantly reduces the power consumption to 30%, further prolonging the life of your lamp. To achieve the maximum 6500hrs2 lamp life, the projector should be operating in Eco+ mode and the auto power off feature should be enabled to automatically switch off the projector if it is accidentally left on. Enabling the <0.5W standby mode ensures the minimum energy consumption when the projector is not switched on. We know that improving our products is the best way to reduce our impact on the environment. That’s why at Optoma, we design our products to have a long usable life, use fewer materials, ship with the minimum packaging and be free of all possible toxic substances. Naturally, energy efficiency and being recyclable are built in at the design stage. With each new product, we strive towards minimising our environmental impact. For full details of Optoma Project Green please visit our website. 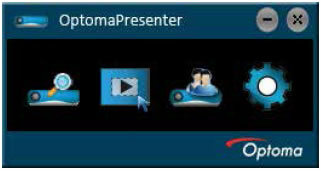 Refurbished Optoma PRO8000 Large Venue Commercial Projector WUXGA 1920x1200 5800 Lumens with Dual Lamps $14999 MSRP!